With the killing of unarmed Sumo wrestler Okita volunteers to commit seppuku, but that helps nothing. The courts have recognised the sumo’s fault and the sumo coach apologised. Serizawa criticises Hijikata again for not being able to play dirty to further his goals. 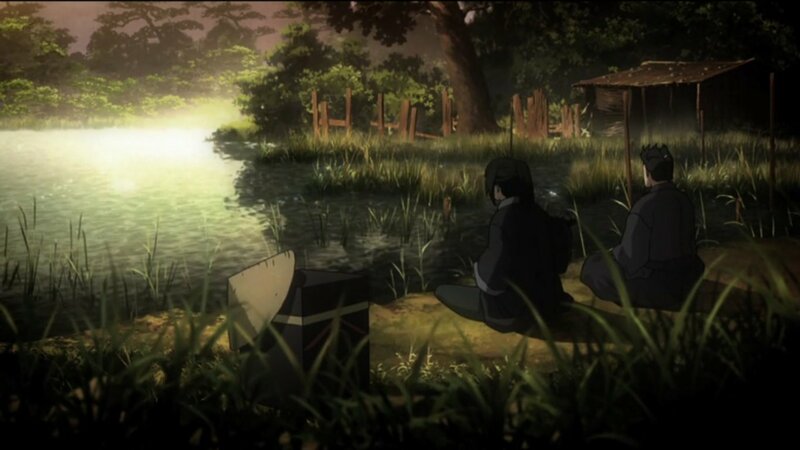 Showed some back-story to when Hijikata and Kondou were both farmers and how they wished to become warriors. One of the new recruits, Yamazaki, questions Ibuki’s reasons for staying and tells him that if he wants to leave, he should do it soon. Serizawa’s disciple, Niimi visits Yukimura one night to see the development of Ochimizu and asks that no one else hears about it. Another night, Niimi decides to test out an improved Ochimizu on some rogue samurai Serizawa captured but he broke loss and ran. Heisuke chases him, but lacked the resolve to kill him and so let him escape. 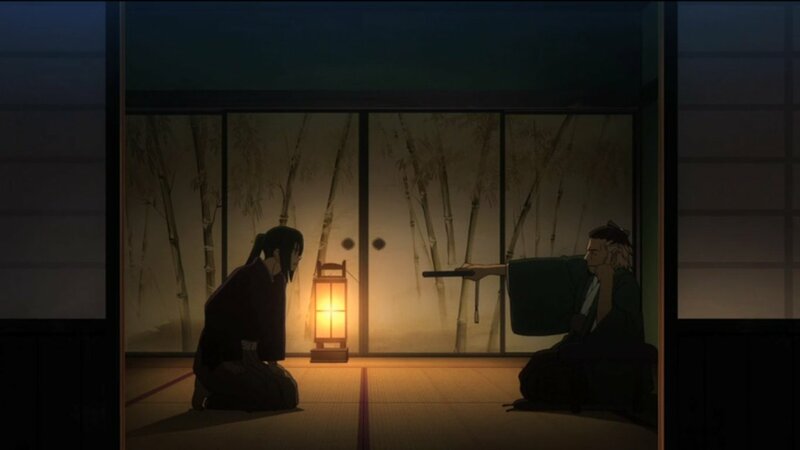 The second night on the hunt, Heisuke and Ibuki go together and this time Heisuke stabs it in the heart. He wonders if he’ll ever get used to this killing. 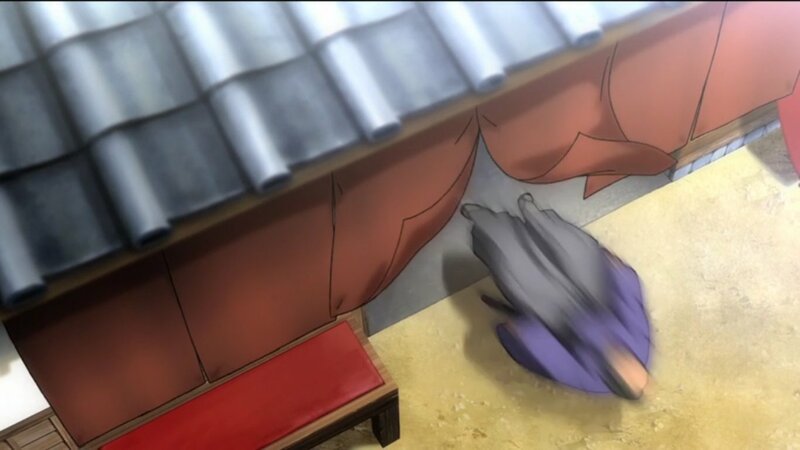 So we’re finally seeing the events of Yukimura that we never saw. I forgot what actually happened to Kodo in the original series. I remember seeing him late in the series once or twice, but then nothing after that. Definitely not much was said, think he died didn’t he? I apologise for my poor memory, but he was a minor character who rarely appeared. Though that said, he was the reason that started the original series. Which is why I’ve suddenly become particularly interested in his appearance here. I feel bad for Heisuke, ‘the way of the warrior’ has pretty much destroyed any ‘pureness’ he had. I always wondered how he’s able to keep that cheerful childlike demeanour being a samurai who has to be ready to kill at any moment to protect his lord. But I guess that’s just his way to keep himself sane, unlike Okita who’s completely lost it and gone the opposite direction. Just the way it is I guess, train your emotions to be emotionless like Hajime, or try to keep cheery like Heisuke. Or lose it and enjoy the killing. Were they still dealing with the Ochimizu outbreak when Chizuru arrived? I definitely remember that she met Hajime in episode 1 or around the very start and he cut down some people drunk on Ochimizu. Which means at that time, this Ochimizu thing was still ongoing and the Shinsengumi was looking for Yukimura Kodo as well. So this means that during this prequel, Serizawa will need to die, Kodo and Niimi will go missing because something went wrong with the Ochimizu and Ibuki will also die. I stick by my prediction of Ibuki drinking the Ochimizu and then killed, but I think during his time of insanity he’ll kill Serizawa. 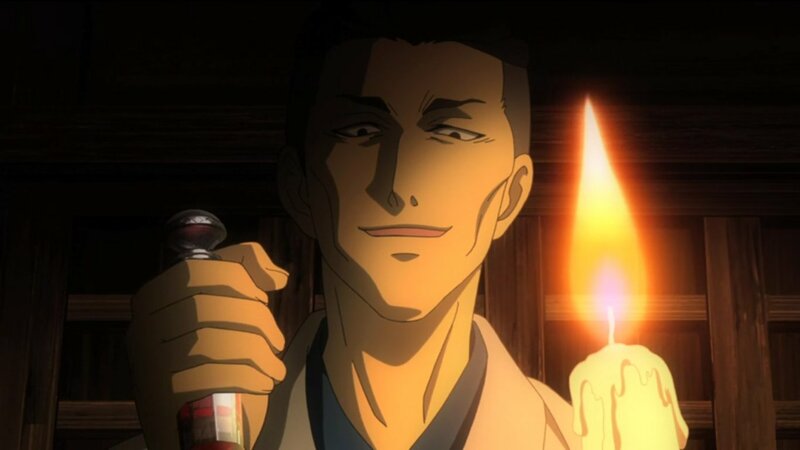 I think it’ll be Serizawa does something like maybe harm Kosuzu angering Ibuki to take the Ochimizu to cut him down. 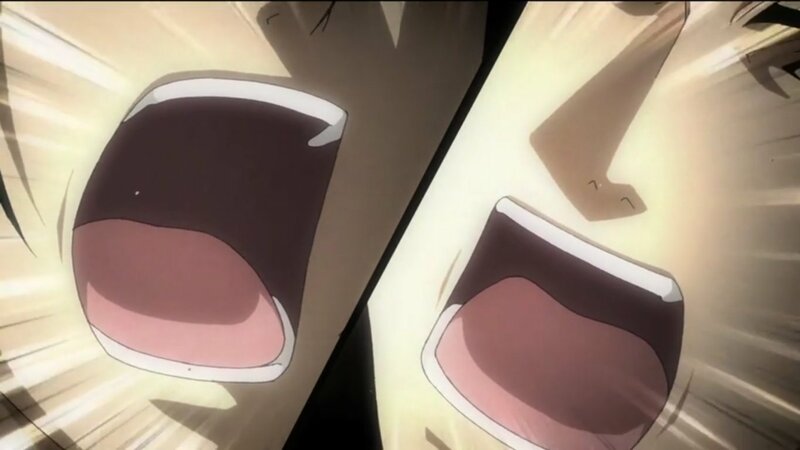 During this time Niimi and Yukimura causes an Ochimizu outbreak somehow and both of them go into hiding with Niimi dying somewhere in the process. That’s my take on things, I don’t think any of that will start to take shape anytime soon, later episodes most likely. Probably more focused on how the Roshigumi turns into the Shinsengumi at the moment and how they deal with things for now.